For me January is not about resolutions. I save that for February when I'm actually ready to start the year. January is about nesting, wearing lots of wool and being slow, doing things that soothe your brain. Like making Marmalade. I've managed to post this on the final day of Seville Orange season adding a burst of orange into a pretty grey month. For those of you that know me, my cooking is kind of experimental. 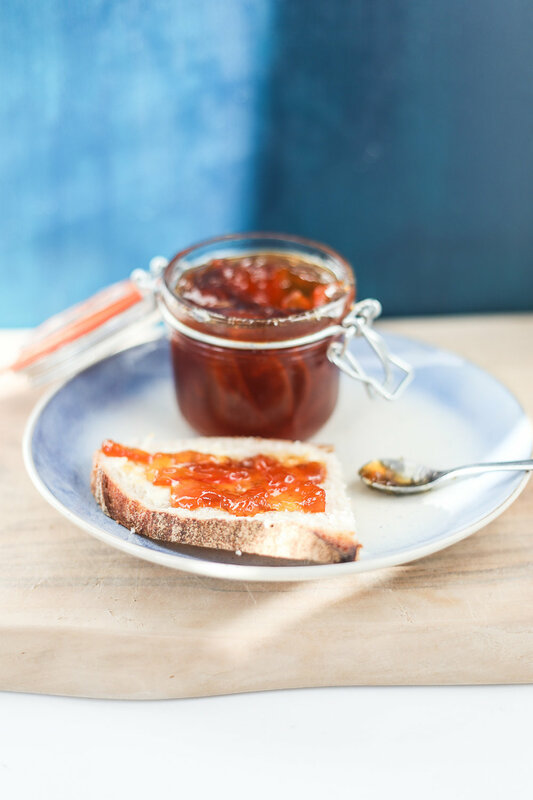 Following a recipe is pretty foreign to me but this Marmalade business seemed serious so I followed one from start to finish. More or less. This glorious marmalade was made possible with the wise words of Felicity Cloak whose recipe you can find here (I used 1.25 kg of light muscovado and 750g of granulated white sugar instead of the 1:1 set out in the recipe for a more caramelised flavour ) Served up on fresh white sourdough from the East Bristol Bakery and plenty of butter. Then I decided to add what I think a lot of recipes lack. Cheese. 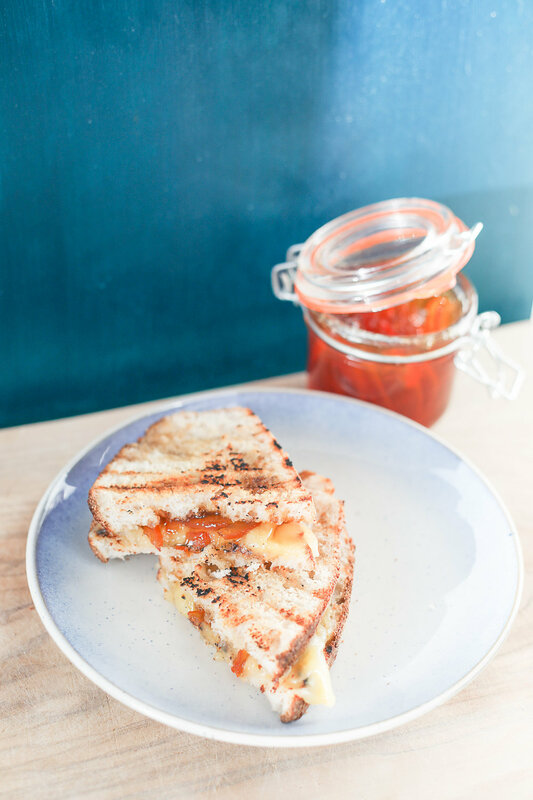 Here's a Sourdough toastie with smoked applewood cheddar and home made marmalade. Just slice up your cheese, no scrimping, thick slices please. Same with the bread. Warm up your griddle pan to a high heat coated with a spot of melted butter. Essential. Then layer your cheese and a generous spoonful of marmalade, grilling for a few minutes on each side until the cheese is melted. This tastes particularly awesome paired with Caple Rd Cider.